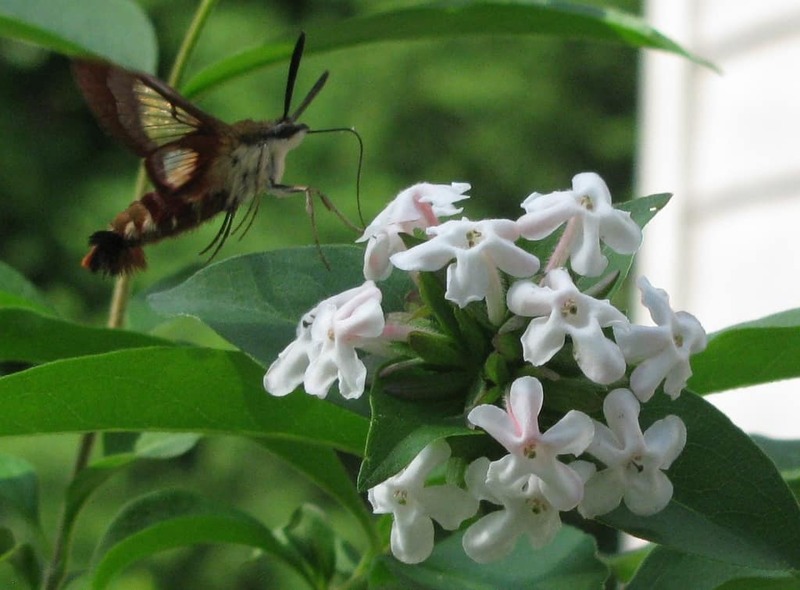 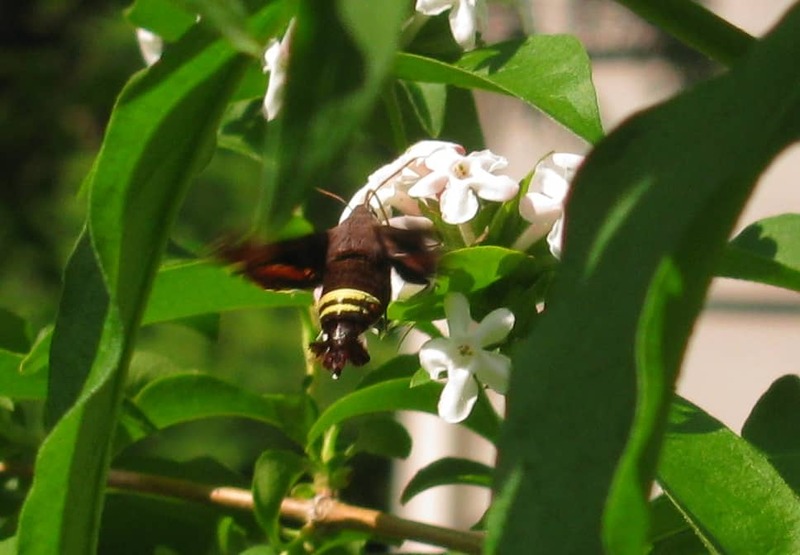 We have a sweet smelling Abelia shrub that is proving to be very popular with the insect population. Visitors this month include our first and so far only Monarch, a Black Swallowtail, a White Admiral, and two hawkmoths, including the Hummingbird Clearwing and the Nessus Sphinx, the latter new to us. 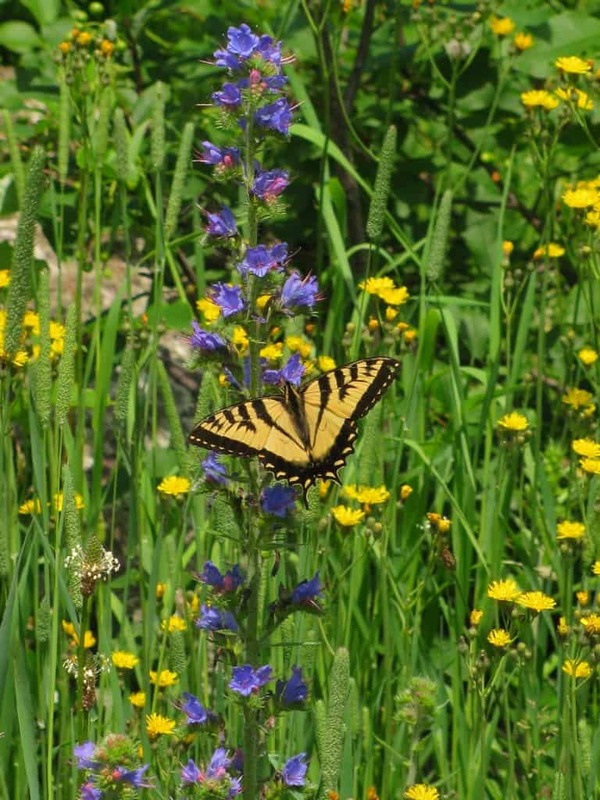 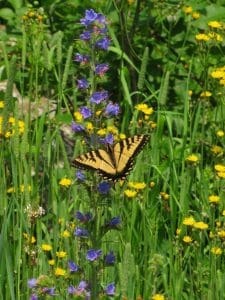 And out amongst the wildflowers, the Canada Tiger Swallowtail is regularly feeding on the Viper’s Bugloss. I was able to photograph them all except the Monarch, with two separate views of the Hummingbird Clearwing Moth. 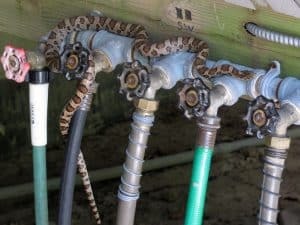 On June 8th, Peter got a bit of a surprise opening the door to our under-deck to find an Eastern Milksnake coiled around one of the garden hoses. He was lucky to get a photo as it made its way along the line of stopcocks heading for a bit of cover under the stairs.